According to the Substance Abuse and Mental Health Services Administration (SAMHSA), the 50+ population in need of substance abuse treatment will double by the year 2020. Substance abuse among the baby boomers is a poorly recognized but growing problem in the United States. Alcohol is one of the most commonly known substances of abuse for adults 60 years of age and older that can be followed by prescription drug misuse; including medications for pain, sleep, and anxiety. Illegal drug use is also on the rise with many in this population coming of age in the drug-friendly culture of the 1960s and 1970s. The initial addiction treatment for older adults often requires more intensive medical support than is necessary in younger patients. Physical, as well as, psychological withdrawal can be more challenging and strenuous for older patients. Pine Grove is well suited to treat this patient population in its newly renovated, specifically designed unit. 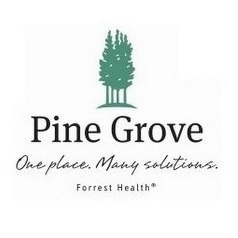 Pine Grove is a part of Forrest General, a 512 bed hospital and trauma center with multi-disciplinary medical staff available. The Legacy unit at Pine Grove will have medical care provided by an Addictionologist and Psychiatrist and 24 hour nursing care will be available on-site.